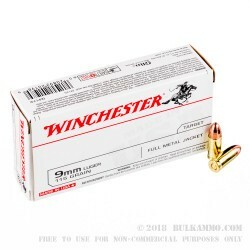 Winchester not only supplies ammunition and supplies for hunting and sport shooting, they also have a fantastic line of handgun ammunition as well, such as this 9mm 115 grain FMJ ammo. These rounds provide consistent accuracy that have been trusted for target and range practice for decades. They are Full metal jacket and have reduced barrel fouling, which means that you’ll need fewer cleanings and more range time! 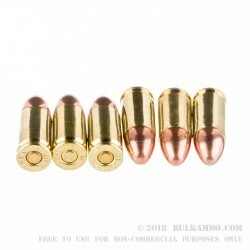 Muzzle velocity is 1190 fps with muzzle energy at 362 ft/lb. 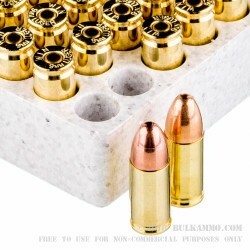 These 50 Round boxes are perfect size for your range bag so stack away and hit the lanes. You always think you’re bringing enough to practice- but they go faster than you think! Especially if you’re practicing different techniques and accuracy. Better get a bunch! 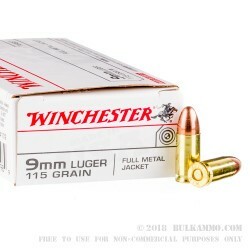 Winchester, founded in 1866, is one of the world's most widely recognized and respected brands. For over 140 years, Winchester has brought us weapons, ammunition, fine hand tools and cutlery, fishing tackle, classic artwork and hunting traditions. The Winchester brand and trademark has always held a long and responsible heritage for commitment and pride for their high-quality products. They hold a leading role in supporting and advancing conservation, and hunter education.